Miele is known as a premium appliance brand with some pretty hefty prices. However, you can usually expect Miele to deliver on quality with many consumers seeing the benefit of investing in its range, with longevity in mind. And it’s the same story when it comes to its robot vacuum cleaners, so let’s dive into the specs and features to see if its latest RX2 line-up of robotic vacuums is worth investing in. What is the Miele RX2? 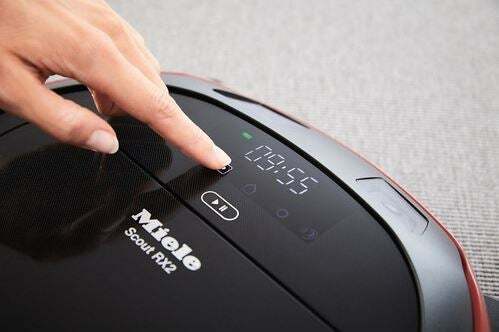 There are two Miele RX2 robot vacuums available (the Scout RX2 and the Scout RX2 Home Vision, with the main difference between them being their run times. Fitted with sensors and cameras, the robotic vacuums can save room plans and use the data to create a vacuuming plan of the surfaces, plus begin the task autonomously. They’re specifically built for the daily cleaning of carpets and hard flooring. And even if their battery runs out, there’s a return to base function that allows the robots to re-charge and continue with any unfinished areas. How does the Miele RX2 work? These can all be selected via the remote control, the unit itself, or your smartphone (more on that below). It has 3D Smart Navigation technology with two front cameras and three-dimensional object recognition to measure the distance of potential obstructions and navigate around them. In addition, it has Miele’s Quattro Cleaning Power system, stated to feature swung-out side brushes for coarse dirt, rear suction opening for fine dirt, and a fan to ensure dirt lands in the dust box. Its retractable side brushes are also boasted for reliable cleaning of corners and protecting furniture. How long does the Miele RX2 battery last? If the vacuum started vacuuming from the base station, it will return to this location and recharge if required. However, if it started from somewhere else in the room, it will return to its starting location and switch into standby mode after approximately 60 seconds. When the battery is low, the robot can navigate to the base station to recharge and then carry on vacuuming. The robot vacuum cleaner is 85mm high. It’s stated that any items under this height, such as underneath couches or beds, should have a minimum clearance of 87mm. It’s equipped with a roller brush plus two side brushes and a dust box. The dust box is designed with a release button, pre-filter and exhaust filter. It also comes with a cleaning tool and wiper for easy maintenance. There’s a remote control that has a start and pause button, back to base button and timer. In addition, it features a mute mode, allowing you to deactivate acoustic signals, which is ideal if you want to vacuum late at night or early morning. The robot is equipped with anti-fall sensors at the bottom of the unit. You can also define any areas which the robot vacuum cleaner should not have access to by using the supplied magnetic strips. The robot vacuum cleaner is stated to not cross over these, however keep in mind the strips are permanent and additional ones have to be bought online. 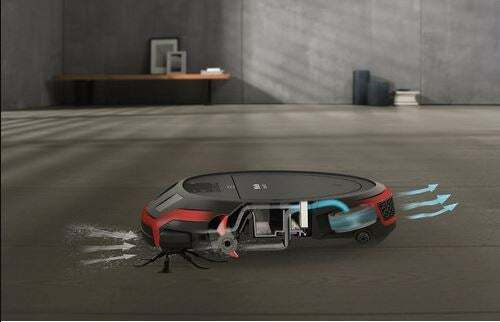 It’s recommended to observe the robot vacuum during the first cleaning session to help detect and remove any problematic obstacles or add magnetic strips in other sections if necessary. If you want to set the vacuum to clean at the same time every day, you can save the start time and the operating mode you want to its memory. You can save up to seven individual combinations, ideal if your daily routine differs. While the robot can vacuum in the dark, results may be less thorough, according to Miele, as the cameras require light in order to navigate unobstructed. For a manual clean, you can also use the direction buttons on the remote control to vacuum particular areas of the room. To see exactly how things are going with your vacuum, the Miele RX2 has an integrated Wi-Fi module for convenient operation. It lets you view status information and execute control commands using a mobile device (tablet PC or smartphone). The ‘Scout RX2’ app can be downloaded from the Apple App Store or Google Play, depending on your device. There’s also a camera at the front of the robot vacuum, which sends encrypted images in real time to your selected mobile device. The transmission quality is said to be dependent upon the speed of your Internet connection at home, and on your mobile device. The video function indicator in the display flashes red when images are being sent (note that no video recording takes place). It’s recommended to clean both cameras regularly with a soft, dry cloth. How much does the RX2 robotic vacuum cost? The Scout RX2 has a recommended retail price of $1,399, and the Scout RX2 Home Vision is $1,699. On average, robot vacuums cost between $600 and $1,500, which makes the Miele range lean towards the premium end of the market. With these prices, it would certainly pay to do your research before you dive into any purchase decision. 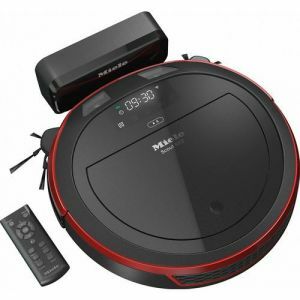 Should I buy the Miele RX2 robotic vacuum? Robot vacuums have a number of added benefits compared to traditional barrel models, one of which is that you don’t have to do the vacuuming yourself! And with up to two hours of run time with the Home Vision unit, Miele has stepped up in the world of robo vacs to deliver one of the most appealing on the market. 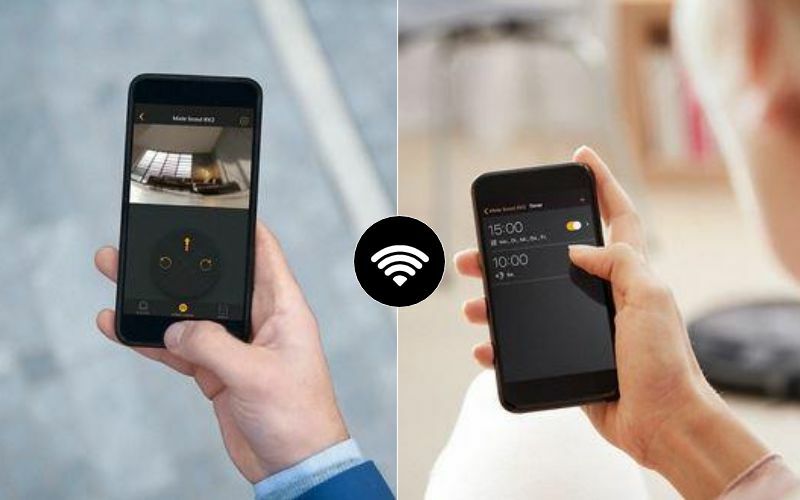 Having the additional Wi-Fi functionality to view its operation remotely is also a big plus, but it does come at a price. If it fits within your budget, then you might like to consider one of these Miele robot vacuums as a fairly long-term investment in keeping your home clean and tidy. Otherwise, perhaps a more traditional style of vacuum will suffice. One thing’s for sure, Miele is one of the best-rated vacuum brands out there and has consistently topped our customer satisfaction ratings as a result. To help you compare vacuums on effectiveness and value for money, follow the link below.